MJ’s tackling REGRET, which is key to a well developed character arc. Regret can destroy a person, but it can also motivate, spurring a character to take action when they reach the point where fears, missed opportunities and poor choices lead to unbearable fulfillment and dissatisfaction. Great stuff here on how to use it in your hero’s arc, so please read on! Regret is a hard motive to wrangle. Shallowness creeps in because actions seem simplistic or pasted on if you don’t establish realism and reader empathy. Even if your reader wouldn’t be able to tell you exactly why it doesn’t seem realistic now, they’ll know realism when you use it. And boy, can you use regret to change your character’s life in interesting ways. PLUS I’ve got some tips on creating emotional realism. Read to the end for my gift, a free report on arcs born from regret. First, let’s clarify what regret is. It’s an indirect motivator. For example, it can fuel a desire to right wrongs, or a fear that the same thing will happen again. It’s grieving for what could have been. Even if there was nothing you could have done. But it also encompasses guilt, remorse, and contrition. Basic regret is wishing things could have been another way, guilt is blaming yourself, remorse is wishing to make amends, and contrition is acting to make amends. 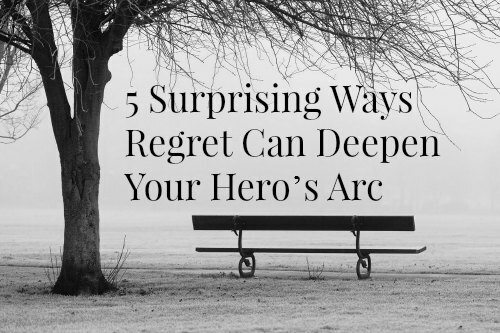 So, let’s look at five realistic ways regret can affect your character. Anticipated regret is stronger than the regret itself. Your character might be disproportionately afraid of missing out, and realize later that it wasn’t so bad. The arc from fear to relief is an especially great option for supporting characters. ►► Avery had a ticket to leave on the next ship out, headed for one of the newly terraformed colonies, but he cut it too close and he can’t get everything ready in time. He transfered to a later launch, had more time to say goodbye, and realized that it was ultimately a good experience. 2. But It’s Not the Same! This one applies when your character has missed an opportunity. The psychological phenomenon is called inaction inertia. One missed opportunity increases the likelihood of missing another, wishing it was as good as the first. So make sure your character has a good strong push to take a second opportunity. Or let them pass up the second only to realize that they will really regret it if they miss a third. …If you want them to take it. ►► Avery landed on his new planetary home and immediately found a great house, but decided to check out the possibilities. Nothing compared, but when he went back, it’d been sold. Later that week, he found another great place but he decided that the first house was his dream home and this other house just wouldn’t cut it. Desperate after realizing that he should have taken it, he gave up and took the next livable place. Regrets can cause a distorted self-concept, the past reflecting on the self-worth. It’s possible to learn to see the shame, the guilt, and the situations as trials intended to give you strength. And when your character learns to adopt this worldview, his entire outlook and self-concept will shift. He will see himself as product of adversity, not the victim of it. Or you can let one character wallow while another improves. I do like my foils. ►► Before moving to the stars, Avery always saw himself as a victim of his circumstances. His poor upbringing, the demeaning jobs, even the dead-end romantic relationships all fed the idea that the world was against him. When he started to realize that those things made him stronger, he started tackling bigger dreams and challenges. Until, finally, he stepped on that ship. As this article states, social comparison is a coping mechanism for regret. And the interesting thing is that it can have an effect on the character’s health. It’s not just artistic license that has characters getting sick when they compare themselves unfavorably with others. Who knew? ►► Avery’s best friend Daniel slowly wasted away on Earth, alternately railing against the world and castigating himself for not stepping up like Avery. We’re likely to regret actions in the short term, but in the long term it’s the things we didn’t do that get us down. This can make a nice foil, with a younger character regretting an action and an older character regretting an “omission.” Or you can have a character arc from one to the other in the space of the story. ►► Years later, Avery forgot the decision to pass up the second house. Instead, he regretted not encouraging Daniel to see his own strength. There’s more to regret than arcs and motivations. It’s an emotion, and as an author you need to treat it like one. You see yourself as having lost something, or the idea of something that is profoundly meaningful to you, and the experience is every bit as real as suffering after any kind of traumatic event. – Suzanne Lachmann, Psy.D. Your job is to show that grief. The resulting actions aren’t enough. Words spoken or thought aren’t enough. You have to show a reaction to the pain. Give it some screen time. You’ve got the tools to show your character’s regret, and to make it a realistically integral part of their actions and emotions. Especially if you have The Emotion Thesaurus (now an expanded second edition). HEADS UP! You can grab the free report Seven Arcs of Regret – ONLY AVAILABLE HERE – for more ideas and details. Download it now. 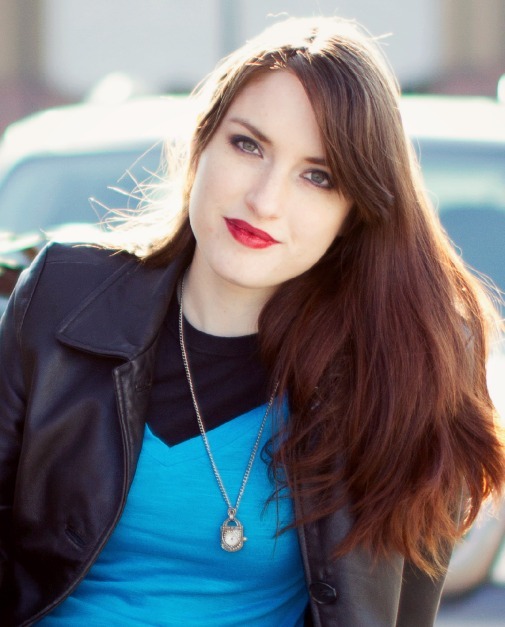 This entry was posted in Character Flaws, Emotion, Guest Post. Bookmark the permalink. Love this post! I hate regret in real life. Thanks for tips on how to make it happen on the page. Thanks, Julie. And I think hating it in real life is part of what makes it so hard to write realistically. Who doesn’t hate regret? I also tried to get the Regret Arc download but was redirected to the newsletter which I already receive and love 🙂 Could I please get an email with the 7 Arcs of Regret in it?Thank you! Sometimes it takes a bit to send. If you don’t receive it, please reply to the welcome email and I’ll make sure you get it. Send me an email or reply to one of mine, and I’ll get it to you. There are several “Sarah” emails, so I don’t know which you are. And I’m sorry, I don’t know why you didn’t get it. This is one of the most thought provoking articles on writing that I have read. If you’d like to share your thoughts, I’d love to hear them. Great blog post as usual!! Regret is something my next wip hero will deal with. His father was hurt while on a mission to save him. He can’t get past the guilt, especially since his mother holds it against him as well. Sounds like a great complication on the healing process, Traci! Thanks. This is really thought-provoking. There is much to glean from this. This is truly one of the most thoughtful articles I’ve read in weeks. I really appreciate MJ’s attention to detail- normally, such plotting and analysis makes me nervous, but she has just the touch to keep the focus firmly on the character. I find myself wondering whether in heroic fantasy there’s as much scope for regret. The bad choices and missed chances are there, certainly (though in epic fantasy you can’t mess up as often or the world goes to hell). But beyond that, there’s a more confined arc to explore it, I think: self-examination is rare, discussion of feelings even rarer. Even the women are pretty macho! So you see it in their facial expression, their clipped responses and their dangerous acts, not internal dialogue or extended conversation. The writer needs to take a few shots, and make sure they’re good ones. Regret is one of my favorite ways to see my characters motivated to act (or, to not act). It works nicely for protagonists and antagonists alike, and it manages to snag readers into the story immediately. Who hasn’t regretted something they’ve done or a choice they’ve made or words they’ve said before? Playing with regret makes the characters human and gives them a deeper three-dimensional flavor. Thank you! I look forward to more applicable content from your outstanding posts! This is a great post. Will save to reread and ponder. Thanks. Angela, Angela, Angela. Once again, fantastic stuff! Or not having gone to college. Or never seeing Rome. Or not having told someone they were sorry. Etc. Seeing the results/pain of someone else’s regret often motivates us to not experience it ourselves. GREAT point about witnessing someone else’s regret, Donna!